Add vibrant colour to your business from the latest high quality multifunction printers on the market right now. At CRS, we help you streamline document management through automated processes that save your staff time. Increase efficiency in the office, and cut the overall cost of your document output. The consequences of a data security breach for your business are now more serious than ever. But is your print environment properly protected? Tired of managing your fleet of devices? Let CRS take the strain, we provide a single source of support for your entire print environment. Welcome to CRS – an Oxfordshire-based provider of printer leasing, photocopier leasing and document workflow solutions for local and national businesses. With more than 20 years experience, we combine expert knowledge with industry-leading hardware and software to optimise your document workflows, cut your print costs and boost your productivity. Whether you’re running a small office with a single photocopier, or a multi-site enterprise with a fleet of multi-function devices (MFDs), talk to us about our managed print services, print security and mobile print solutions today, and see how we can help improve the efficiency of your office. At CRS, we can supply your business with a wide range of printers and MFDs from the very best brands in the industry – giving you access to advanced technologies that provide exceptional print quality and unrivalled reliability. Our portfolio of products includes the latest models from Kyocera, Sharp and Konica Minolta – available to purchase at competitive prices or through our flexible printer leasing options. 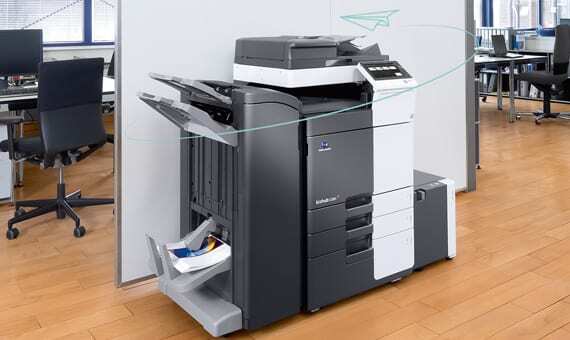 From space-saving laser printers to the latest eco-friendly MFDs, let our experts find the right machine for you.